Stark Naked Theatre Company presents Cry Havoc! Stark Naked Theatre Company, in association with Stephan Wolfert and Bedlam, presents two special performances of Wolfert's one-man show, Cry Havoc!, featuring William Shakespeare's words and directed by Bedlam Artistic Director, Eric Tucker. Cry Havoc! 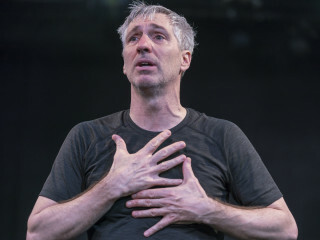 is about Wolfert’s experiences as a soldier and a veteran and how finding his love for the timeless words of Shakespeare provided him a vehicle of expression and a camaraderie of spirit with other Veterans that opened a door into an interactive journey of healing through Shakespeare and his veterans. Over 23 million living veterans have been wired for war but never re-wired to come home. Cry Havoc!, a one-person play by a military veteran, seamlessly interweaves Shakespeare’s most famous speeches with personal experience to help us understand the national crises we face when we fail in reintegrating our veterans.